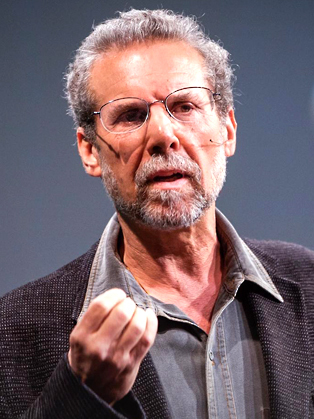 Author of Emotional Intelligence and psychologist, Daniel Goleman has transformed the way the world educates children, relates to family and friends and does business. In 2008 The Wall Street Journal included Dr. Goleman in its top 10 ranking of influential business thinkers. In 2002 he was named one of the top 10 business intellectuals by the Accenture Institute for Strategic Change. A reporter on the brain and behavioural science for The New York Times for 12 years and twice nominated for the Pulitzer Prize, he was awarded the American Psychological Association’s Lifetime Achievement Award. Daniel Goleman is an internationally known psychologist who lectures frequently to professional groups, business audiences, and on college campuses. As a science journalist Goleman reported on the brain and behavioural sciences for The New York Times for many years. His 1995 book, Emotional Intelligence was on The New York Times bestseller list for a year-and-a-half, with more than 5,000,000 copies in print worldwide in 40 languages, and has been a best seller in many countries. Apart from his books on emotional intelligence, Goleman has written books on topics including self-deception, creativity, transparency, meditation, social and emotional learning, eco-literacy and the ecological crisis. The Harvard Business Review called emotional intelligence— which discounts IQ as the sole measure of one’s abilities — “a revolutionary, paradigm-shattering idea” and chose his article “What Makes a Leader” as one of ten “must-read” articles from its pages. Emotional Intelligence was named one of the 25 “Most Influential Business Management Books” by TIME Magazine. The Financial Times, Wall Street Journal and Accenture Institute for Strategic Change have listed Goleman among the most influential business thinkers. Goleman is a co-founder of the Collaborative for Academic, Social, and Emotional Learning originally at the Yale Child Studies Center and now at the University of Illinois at Chicago. CASEL’s mission centres on bringing evidence-based programs in emotional literacy to schools worldwide. He currently co-directs the Consortium for Research on Emotional Intelligence in Organizations at Rutgers University. The consortium fosters research partnerships between academic scholars and practitioners on the role emotional intelligence plays in excellence. Goleman’s other recent book, The Brain and Emotional Intelligence: New Insights, gathers together recent findings from brain research and other sources on topics ranging from creativity and optimal performance, the brain-to-brain connection in leadership, and to how to enhance emotional intelligence itself. September 2017 new publication ‘Altered Traits: Science Reveals How Meditation Changes Your Mind, Brain and Body’. This new book unveils the kind of cutting-edge research that has made Daniel and Richard Davidson giants in their fields. They show us the truth about what meditation can really do for us, as well as exactly how to get the most out of it.